Jason Alba and his team launched JibberJobber on May 15th, 2006. Over the past year, the site has grown in leaps and bounds in becoming a critical tool for many people around the globe. As part of the anniversary festivities, Jason agreed to talk with us. This is the JobMob interview. Jason Alba: JibberJobber is a website with tools to help you manage your career. The core benefits are based on “customer relationship management”, where you can manage the relationships that are important for your career. This includes tracking network contacts and target companies but delves into understanding the strength of the relationship. Aside from this there are many features that allow you to do what career experts tell you to do. For example, you can keep track of where you send your resume, manage responses to interview questions, keep track of job-related expenses and much more. Mashups with GoogleMaps, Skype, LinkedIn, Anagram and other tools make it very feature rich. Jason Alba: I was brainstorming names a couple of months before it went live and a good buddy of mine called with the suggestion. He's more creative than I am – I had a bunch of boring names (like Career Wolf, dumb stuff like that). Once he said it I was like “Yes!” I loved it for various reasons, and most people that I talk to love it (of course there are a few that think it's too playful or fun). 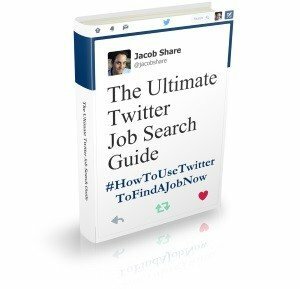 I understand that JibberJobber grew from trying to solve your own job search information overload. At which point did you decide to turn it into a company? What have been some of the highs and lows of starting your own company? In the early days there were some discouraging things, like begging bloggers to please blog about my cool, new tool (and getting a lot of rejections). But there was so much momentum and so many small wins that it was always more exciting than discouraging. I can't list all of the highs. Once I was talking with one of my investors and I said “nothing big happened today. Just these few things.” He replied with a comment that each of the things, by themselves, was significant. I realized that I had become numb to the amazing things that were happening. Without listing the highs, though, I will say one thing. A win for my own business is way more significant than a win for the companies I used to work for. It's amazing when you build something for yourself, and your future, and you know that every single win will add up for you. I was motivated in the past when I worked for someone else but I always wondered if my efforts would pay off. Turned out that I got laid off, and none of my efforts were rewarded in the long term. That's different now. Would you recommend that all job seekers consider self-employment? Jason Alba: I think that all job seekers need to think of themselves as free-agents. There are lots of books, articles and blogs on this subject – from Tom Peters talking about the brand called you to Pamela Slim's Escape from Cubicle Nation blog. I think that all professionals, not just job seekers, need to seriously consider two things: (a) even when you find a job you'll be in a job search in 3-5 years (so say the statistics), and (b) you need to create other streams of income so you aren't so dependent on one employer (especially considering a normal job search can take months – months without a main income is really hard). Also, I found it interesting when I was in interviews to find out how many hiring managers had their own side business. I asked if it would be a problem if I had this website (JibberJobber) and they went on to explain how they had their own side-gig. Geesh, I had missed that memo. But it makes a lot of sense. Let's talk about the JibberJobber website and platform. What does JibberJobber excel at? Jason Alba: Tough question – I hope that I'm right in saying that JibberJobber excels at working right. I want to get development out faster than we are but my dev team is really good at keeping it real. This means that we aren't pushing things out too fast, and creating bugs and problems. Sure there is lots of work to do but it's very rare that a user finds a bug or problem. Additionally, I hope that JibberJobber is excellent at empowering individuals. When I was laid off and looking I had virtually no tools available to me. I was at a low and not having any tools didn't help my self-esteem. I hope that JibberJobber is empowering people and providing value that really helps them feel like professionals again. Which part of JibberJobber do users like the most and why? Jason Alba: I'm not sure – I've received feedback on various parts of the system. I think the coolest thing is the interaction with other systems like GoogleMaps, Skype, LinkedIn, Anagram, etc. Along with that I think that users like the interconnections with their data. Where an Excel spreadsheet can track data, JibberJobber connects a lot of data points. So you put a contact in, who can be connected to a target company where you have applied – all three of these things are connected in JibberJobber – with almost no effort from the user. Has anything surprised you regarding how JibberJobber is being used? Jason Alba: I've been surprised that small businesses are using JibberJobber as their CRM tool. I saw the applicability right away but haven't marketed it as a CRM tool. People have just picked up on this. What do you think is the most under-appreciated feature in JibberJobber? Jason Alba: Hard question – one of my favorite things (with the cool factor) is the interface with GoogleMaps – it's really cool to see your contacts or target companies on a map. But I find myself using the one-click interface with Skype every single day. If I had to pick one under-appreciated feature it would probably be the ability to categorize and tag things. For example, when entering a network contact you would categorize and tag the person – this is like taking the best from Outlook (categories) and Gmail (tags/labels). It's really powerful, and once you do that then you can pull your data in various ways. Simple yet very powerful. Note, people are categorizing and tagging, but I know that they aren't exploiting the features completely. You're a prolific blogger and quite successful at it, having built a strong online presence and personal brand in under a year. What are some of the keys to this success? Jason Alba: Quality content – don't skimp, don't just write about current events just to get more search results, and don't write just to be digg-worthy. Write to your audience; they'll appreciate it, and the audience will grow. Consistency – I write once a day, Monday through Friday. I know that people check in daily and I want to give them fresh stuff. I hated checking in on blogs that updated once every other week – that was frustrating, and I stopped checking in on them. I'd recommend a minimum frequency to be Monday, Wednesday and Friday. Lots of “link love” – I frequently share great resources with my readers – I put link to other blogs on most of my posts, have a monthly award, etc. It's not all about me – I want to provide value to my readers and I need to bring them great resources. You have often blogged about the importance and power of networking, but is it possible to over-network? Jason Alba: Not if you are just working on relationships, and focusing on giving. When you have deep relationships you bring value to people – whether they are in your network or not. I guess you can over-network if you do it the wrong way, or if it gets in the way of your job, or you are too emotionally tied to the results Steven Covey has a great section in his 7 Habits book on “your center” that applies to this idea). Do you have any plans to market JibberJobber on an international scale, perhaps with localized versions? Jason Alba: I have quite a few international users, and we have tried to do everything we can to make it more international. With one exception, we should be able to accept all characters (haven't tested with Mandarin yet). We've talked about allowing users to choose their own language and change the view, but we aren't ready for that yet. I would welcome any ideas and help to move this initiative forward. Mazel tov on JibberJobber hitting the big 1. What were the most memorable moments of the first year? Jason Alba: Thank you. It was awesome when we had over 300 blogs linking back to us. It was awesome when we hit 2,000 signups. It was awesome when I had my first podcast interview, which I learned later was by the industry leader (in HR/employment). It was incredible when we were in an article on Yahoo! Finance, which was on the front page of Yahoo! for about three hours – we had more than one signup each minute! Ah, there have been many little (and big) wins – these are some of the ones I can share here. Looking ahead, what are you hoping to accomplish by JibberJobber's second birthday? Jason Alba: Over the next year we'll see significant growth in all of our key metrics. I hope that our technology is more solid and polished (this will be a continually process), and that we have some very important strategic relationships in place. I hope that the idea of a personal relationship manager is more widely accepted, and that people manage their career more than they do today. These are the things that we are working on today and I think that methodical, disciplined growth is the key – for us and our users. I'd like to thank Jason Alba for his insight on JibberJobber and job-seeking success. As I told him, he radiates energy and I hope that you find it contagious for your own job search or startup adventure. June 7th, 2007: I've submitted this article in the Success Stories: Doing What They Love blog carnival. As someone who went from being unemployed with 3 kids to a successful industry front-runner in only a year's time, Jason Alba is definitely a success story. Seeking Success? 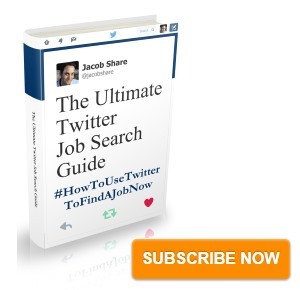 Subscribe to JobMob via RSS or email for more ways to find the job success you're looking for. For a long time now I have been promoting JibberJoober and Jason on my blog, Confessions of an Executive Restaurant Recruiter. There are a number of reasons, but chief among them is his passion for trying to help people. I went back to my first mention of JibberJobber (turned out to be Oct. 12th). Not long after that Jason was instrumental in helping me promote my blog boycott for breast cancer by connecting me with some powerhouse bloggers. His willingness to help made my project a success… Even though he stood to gain nothing, he gladly chipped in. Thanks Darlene! You have a terrific blog, I’m glad to now have discovered it and I just subscribed. Jason has a great personal brand. It is effective because he comes off as a true individual. He is friendly and networks really well, so kudos to him. Got you in the Carnival! Sorry it took so long. I think you’ve interviewed him 3 times while you’ve been writing Jobmob.